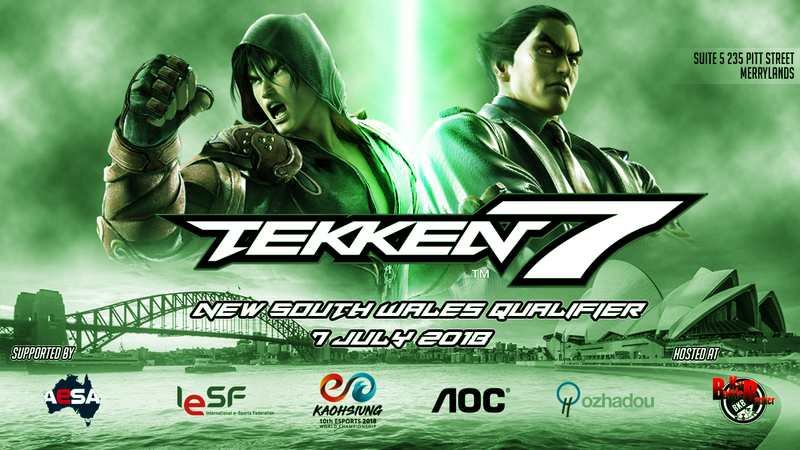 OzHadou is proud to announce that we will be hosting the IESF qualifiers courtesy of AESA. The IESF is a global organisation focused on legitimising e-sports and once again they will be offering the chance to fly an Australian player to compete on the global stage at the Kaohsiung Arena in Taipei, Taiwan from the 6th to 13th of November. Regional qualifiers will be run and the highest placing eligible player will be flown to Sydney to play at the ICC on the 26th of July. So here’s the details of our qualifiers, courtesy of Battle Kat Bunker for graciously hosting the venue. Tournament rules – Standard Tournament rules: BO3 with Top 3 as BO5. All matches will be played on random stages. Player Eligibility – All players are required to residing within their qualifying state (NSW). While any player is eligible to enter the tournament, only the qualifying player must be an Australian citizen, over the age of 15 and must hold a valid passport for international travel. If the top placing player is not eligible, then the opportunity will fall onto the next eligible player.